Scope: The project consisted of a 1,000,000 gallon, above grade, potable water reservoir and extensive site preparation including excavation of 4,600 yards of dirt and the importation and compaction of engineered fill (2,500 yards). Additional site preparation included sheet shoring for bank stabilization, a concrete retaining wall (170 lineal feet), site walls and a concrete tank ring. Installation included an 8 inch pressure reducing valve station, two KTek magnetic site glass's and liquid level indicators, below ground and above ground piping and on-site distribution piping (steel and ductile iron) to the existing water system. In addition, a air compressor, complete electrical service (400 amps, 460 volt 3-phase) and telemetry system were installed. The project included a 1,000,000 gallon above grade potable water reservoir and a 3,000 gallon permanent booster station. 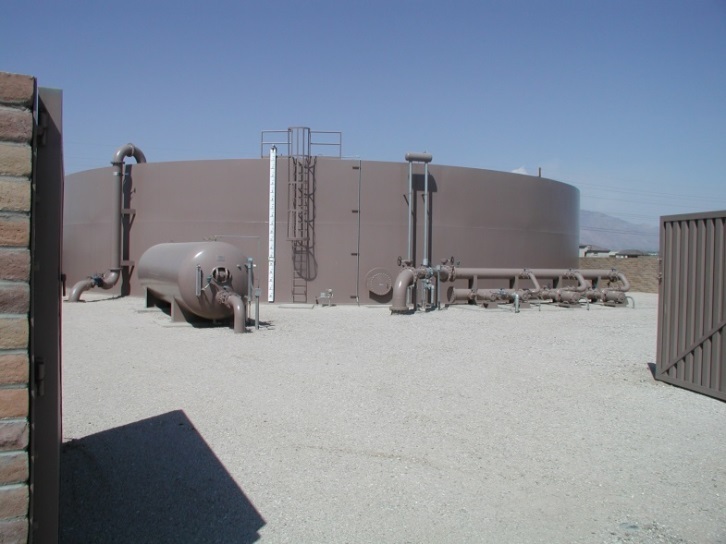 The project entailed extensive site preparation including importation and compaction of engineered fill (7,000 yards), concrete footings, site walls, and a concrete tank ring. We installed below ground and above ground piping, on and off site distribution piping (steel and ductile iron) to existing potable water system. The pumps supplied were end suction centrifugal ODP (range 15-75 hp). The motors in excess of 50hp were supplied with part-wind, Allen-Bradley combination pump panels. In addition, a 5,000-gallon hydro-pneumatic pressure vessel and air compressor, complete electrical service (400 amps, 460 volt three-phase) and telemetry system were installed. 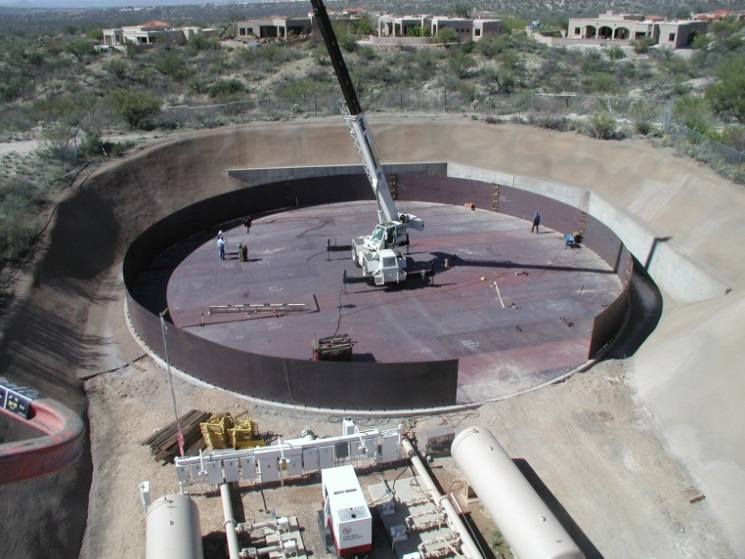 This project consisted of development and construction of a complete water storage and production facility including equipping a 2,000 gallon per minute well (vertical line shaft turbine), a 350,000 gallon water reservoir and a 180 hp booster station. The pumps supplied were end suction centrifugal ODP (range 15-75 hp). The motors in excess of 50 hp were supplied with part-wind, Allen-Bradley combination pump panels. A complete electrical service (1,000 amps, 460 volt 3-phase) and telemetry system was installed. Installation included on-site and off-site distribution piping (12-inch and 16-inch steel and ductile iron). 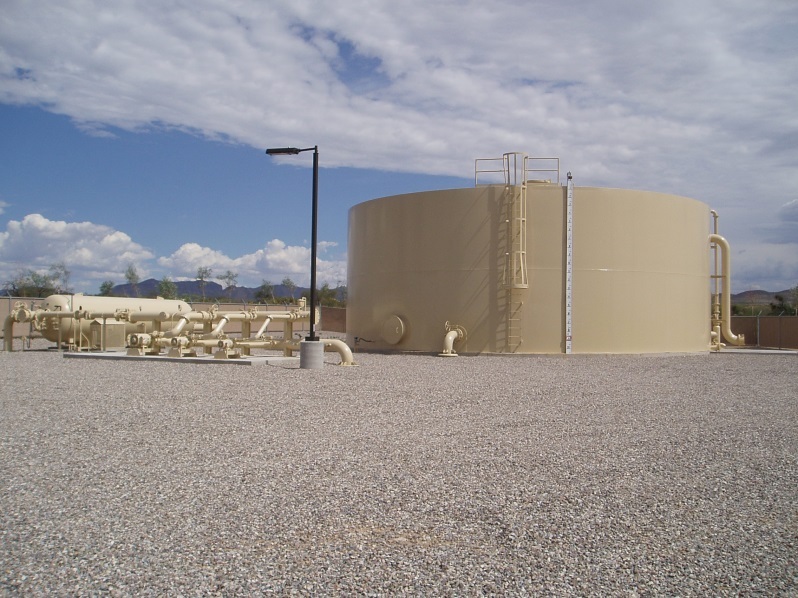 The project consisted of furnishing and installing a six (6) pump booster station, instrumentation, a 5,000 gallon hydropneumatic pressure vessel and 600A electrical upgrade complete. Our UL508 panel shop built and installed four (4) "Across-the Line" starter panels and two (2) "Soft Start" panels. The electrical department converted the existing 200A pole mounted electric to a 600A pad mounted transformer all while keeping the plant operational during construction. The manufacturing division built the 5,000 hydropneumatic pressure vessel and all above ground piping for the "Stacked Manifold" booster.